The media has many problems and I am going to fearlessly discuss them. The media is an abundantly powerful entity within the American democracy because the majority of Americans obtain their news from the media rather than from other people or other sources. Edward Murrow, the father of broadcast journalism once said, “This instrument can teach, it can illuminate; yes, and it can even inspire. But it can do so only to the extent that humans are determined to use it to those ends. Otherwise, it's nothing but wires and lights in a box." I wholeheartedly agree with Mr. Murrow’s ideology of the media. The media should be one of the most trusted entities in the United States of America because of its influence on our culture. However, this is not the case due to the history of media personnel earning the public’s distrust. According to a study by the Pew Research Center, the most trusted media outlets in the USA are the Economist weekly newspaper and the British Broadcasting Corporation (Mitchell et. al). This would not be a problem if these two media outlets were based in the USA, but unfortunately, they are not. They are both British-based media outlets. The fact that Americans are willing to trust media outlets that are not based in their own nation poses a problem that needs an immediate solution. There are three things that I believe cause American media outlets to be viewed as untrustworthy: the promotion of racial stereotypes, biased reporting and the presentation of wrongful or fabricated information. In this day and age, racism is abundantly exposed and expressed in our society, more than in previous generations. This is evident in police brutality shooting young African Americans and the social media movement known as Black Lives Matter (also stylized as #BlackLivesMatter). However, the media has played a huge role in the racial stereotypes set against many ethnic groups in previous generations. An example of this is the ideology of good and evil. For many years, the media has relentlessly promoted the color “white” as pure and wholesome and the color “black” is associated with evil and immoral . The Merriam-Webster dictionary gives the word white definitions like “free from moral impurity” and “not intended to cause harm” (Merriam-Webster) and the word black has definitions like “thoroughly sinister or evil," “very sad, gloomy, or calamitous” and “characterized by hostility or angry discontent” (Merriam-Webster). It is very evident that even in our dictionaries, we the people are not safe from the heavy reinforcement of racial stereotypes. Other examples of the media’s promotion of racial stereotypes are our movies, commercial advertisements and television shows. Stephen Balkaran states that the “media have divided the working class and stereotyped young African-American males as gangsters or drug dealers. As a result of such treatment, the media have crushed youths' prospects for future employment and advancement...The media have devoted too much time and space to 'enumerating the wounded' and too little time to describing the background problems of African-Americans” (Balkaran). This is evident in movies and television shows such as The Wire, Menace II Society and Love and Hip Hop. All of these mediums of entertainment promote and reinforce most racial stereotypes against blacks in America. In the television drama The Wire, all of the main characters are African Americans portraying thugs, drug dealers and criminals. 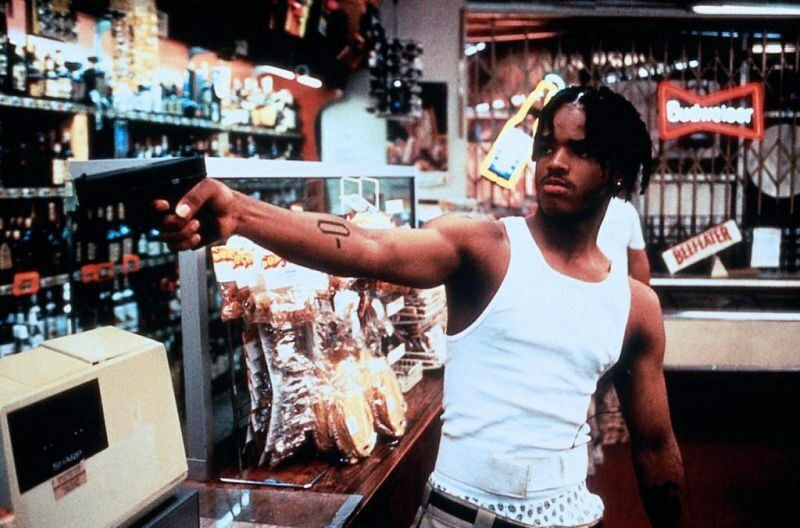 In the movie Menace II Society, black youth are portrayed as rebellious and immoral gang members. The reality show Love and Hip Hop shows an array of disturbing verbal and physical abuse in black relationships. Even though these shows are entertaining, they do no justice for the black communities because of the exploitation of racial stereotypes pitted against blacks. These racial stereotypes are evident in our news outlets as well. In an interview with Donald Trump on The O’Reilly Factor, Bill O’Reilly showcases his belief in these racial stereotypes. 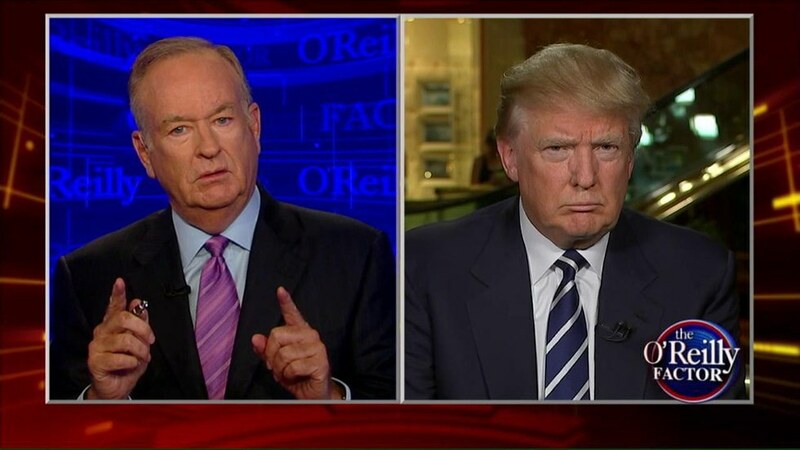 During the interview, O’Reilly asks Trump how he would appeal to the black community, and Trump responds that he would do so by providing more jobs in America. O'Reilly proceeds to say, “But how are you going to get jobs for them? Many of them are ill-educated and have tattoos on their foreheads, and I hate to be generalized about it, but it's true. If you look at all the educational statistics, how are you going to get jobs for people who aren't qualified for jobs?” (Chotiner). As a journalist, this is unjust and inaccurate. Where are the statistics for these accusations? O'Reilly provides no actual sources for this information, so one could argue that he is reinforcing racial stereotypes placed upon blacks in America. The media has a tendency to report stories with heavily biased intentions. The practice of biased reporting leads to both the erasure and criminalization of marginalized communities. In a 1964 speech, Malcolm X says “This is the press, an irresponsible press. It will make the criminal look like he’s the victim and make the victim look like he’s the criminal. If you aren’t careful, the newspapers will have you hating the people who are being oppressed and loving the people who are doing the oppressing” (X). This quote still rings true in our generation’s media outlets. A news outlet that is known for expressing its biases is the Fox News Network. Media monitoring groups such as Fairness and Accuracy in Reporting (FAIR) and Media Matters for America, have argued that Fox News coverage contains editorializing that favors conservative values among news stories. In a study conducted over a 19-week period from January 2001 to May 2001 on the ratio of conservative guests compared to non-conservative guest on the show Special Report with Brit Hume. The study revealed that this ratio was 25:3, which is absolutely in the favor of conservative viewers (Rendall). The problem with Fox News being an openly right wing station is that they will not be trusted by Americans with different views because of the expected political biases that are continuously and vigorously expressed on the network. Fox News has been involved in the slander of Barack Obama in 2007. On January 19, 2007, Fox News featured a segment highlighting a right-wing report that then Senator Barack Obama attended an Islamic “madrassa” school as a 6-year-old child. Fox & Friends host Steve Doocy pointed out that madrassas are “financed by Saudis” and “teach this Wahhabism which pretty much hates us,” (Thinkprogress.org). This is obviously a simultaneous attack on Obama and the Islamic faith, proposing that Obama is a terrorist because of his association with Islam and that people of the Islamic faith are all terrorists. These type of propagandic attacks are highly preposterous in terms of the aforementioned Murrow’s journalistic values. Fox News also has a history with biased reporting relating to race. On November 29, 2006, during an interview on the political show Hannity & Colmes, Sean Hannity gets upset with James Myart, a civil rights lawyer who represented Georgia Congresswoman Cynthia McKinney. McKinney was accused of hitting a U.S. Capitol police officer in 2006. Myart said, "Most police officers are good, honest, hard-working men and women. But there is a culture of police officers out there that represents a legalized gang" (Allen). Hannity attempts to interrupt Myart as soon as he says the word “but” because he knew that the idea of police injustice was eventually to be brought up. Rather than debate this important issue, Hannity made accusations of racism at Myart in an almost berserk manner because his views are different. Hannity calls Myart’s opinion of police injustice a “national disgrace” (Allen). The reinforcement of racial stereotypes and biased reporting is accompanied by the presentation of wrongful or fabricated information. 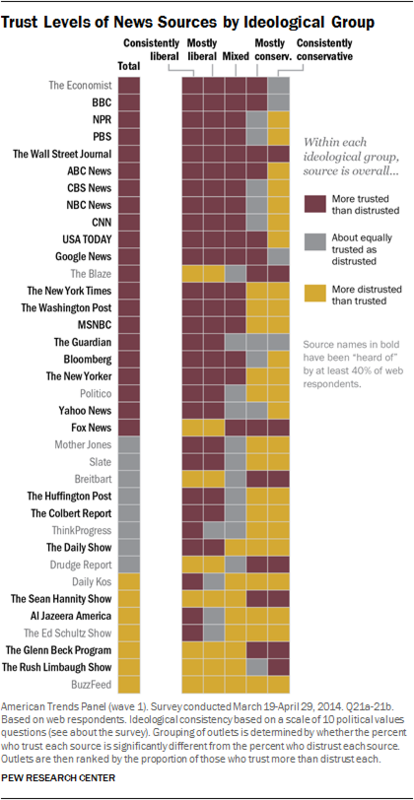 In regards to biased reporting, an analysis released by PunditFact revealed that over half the statements made by a Fox News or NBC/MSNBC host or guest were false (Sharockman). What’s more shocking is that about only 8-9% percent could be considered completely true (as seen below). This is alarming because these two news station are our leading stations and have an insurmountable influence on our culture and political views. As an American, viewing these statistics makes me believe that these news networks are unjust and bias. In regards to racial stereotyping, in the article Race To Judgement: Stereotyping Media And Criminal Statistics, Robert Entman, professor of media & public affairs at George Washington University, highlighted a few of the subtle media trends recorded in various studies: “Blacks and Latinos are more likely than whites to appear as lawbreakers in the news - particularly when the news is focusing on violent crime... [W]hites are overrepresented as victims of violence and as law-enforcers, while blacks are underrepresented in these sympathetic roles…” (Entman and Gross). Entman also states that “Messages continually associating people of color, especially blacks, with poverty and crime reinforce the updated form of racial prejudice known as symbolic racism, racial resentment, or racial animosity” (Entman and Gross). An example of this is another incident involving the Fox News Network and Bill O’Reilly. On the December 4th edition of the O’Reilly Show, Bill O’Reilly offered his opinion on a silent Ferguson protest by Jared Cook, Kenny Britt, Stedman Bailey, Chris Givens and Tavon Austin, members of the NFL’s St. Louis Rams, saying the players "believe that white police officers shoot black youths all the time" (Sanders). He continues to state, “In the past 50 years, the rate of black Americans killed by police has dropped 70 percent. In 2012, 123 African-Americans were shot dead by police. There are currently more than 43 million blacks living in the U.S.A. Same year, 326 whites were killed by police bullets. Those are the latest stats available" (Sanders). However, this statistic has proven to be false in a study released by ProPublica the day before the show aired. The study reveals that young African Americans are at a “21 times greater” risk of being shot and killed by police officers (Gabrielson, Grochowski Jones and Sagara). The study also states that “1,217 deadly police shootings from 2010 to 2012 captured in the federal data show that blacks, age 15 to 19, were killed at a rate of 31.17 per million, while just 1.47 per million white males in that age range died at the hands of police” (Gabrielson, Grochowski Jones and Sagara). Therefore, Mr. O’Reilly’s statistics are either wrong or fabricated to fit he and the network’s views. In spite of these journalistic travesties committed by the American media, there are a few solutions to these problems that could earn the public’s trust. To eliminate racial stereotypes, the media must present more shows and movies that don’t feed into these stereotypes. There could be shows, like My Wife and Kids and Meet the Browns, which are about black middle-class families that don't succumb to drinking and smoking at early ages, street life, and gang activity. Media also have to report information involving criminals and victims fairly, whether they are black or white, without voicing their biases. To eliminate biased reporting, journalists, anchorman, anchorwoman, show hosts and their news stations must be neutral in their views in terms of race, politics, and culture. The media has to be fair and balanced, as Fox News suggests in its slogan. Finally, to eliminate the presentation of wrongful and fabricated information, media outlets should carry out unbiased research on their topics. Media outlets have to be adamant in the pursuit of truth. In order to do so, the information they find must be credible and accurate. As a society, we need to know what is happening in our world. This is impossible if the media continues to block the public from the truth of certain situations with racial stereotypes, biases, and fabricated information. The continuation of this would be a national disgrace to our democracy.